I’m Louise Taylor, Creative Business Coach, Performance Poet and Comedian. 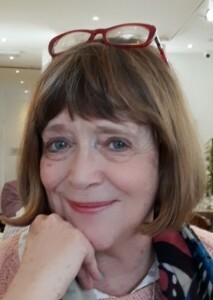 Author of You Can’t Cook a Poem Like an Egg, available at www.amazon.co.uk and of the forthcoming book The Heroine’s Journey in Business. I’ve been nourishing my clients’ businesses through creativity and Golden Wheel Business CoachingTM for more than 21 years and I’ve a “…passion and enthusiasm for developing people and organisations..”. I help to steer people from Planet Stuck to Planet Flow, be they heroine, hero teams or groups on their journey, so that they can be their authentic selves, delivering their best performance and arriving at the succes they want. What’s more I bring 40+ years of business and arts expertise together with wisdom for my clients to draw upon. If you’re a CEO, MD or Entrepreneur, then I can help you to find a new perspective, fresh thinking for your strategy, revive your vision for the dynamics of your business or gain clarity for a key challenge for your leadership and recharge your batteries or both - so that you find “…suddenly you are back on track and all obstacles fall away….” and I coach “with such a flow of natural humour that this enables swift transformation in a fun way”. I offer either a Transition or Bespoke Programme. Discover greater resources by contacting Louise today to learn more. I’ve been performing and writing since childhood and turned professional more than 25 years ago. I’ve performed poetry and comedy – stand up, monologues and one woman shows at spoken word events, festivals, on radio, stage and at events and parties. “An eccentric mix of observation comedy and insightful poetry”.